Musical instruments can be easily damaged by large and rapid changes in humidity and temperature. 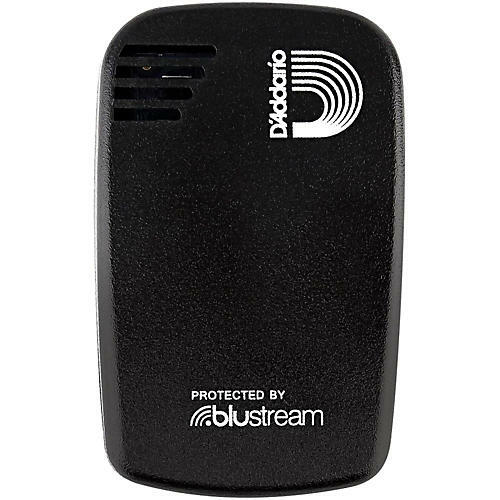 Now you can protect your investment by simply placing D’Addario’s Humiditrak with Blustream Technology inside your instrument or case. When Humiditrak detects dangerous conditions, push notifications are sent to your device allowing you to take corrective action before damage occurs. Cataloging and monitoring a collection of instruments is so easy and convenient, you’ll want one for every instrument you own. D'Addario is known for innovative, problem-solving, quality musical accessories. D'Addario accessories offers a complete line of award-winning accessories including cables, picks, tuners, capos, straps, humidifiers, maintenance tools and more.